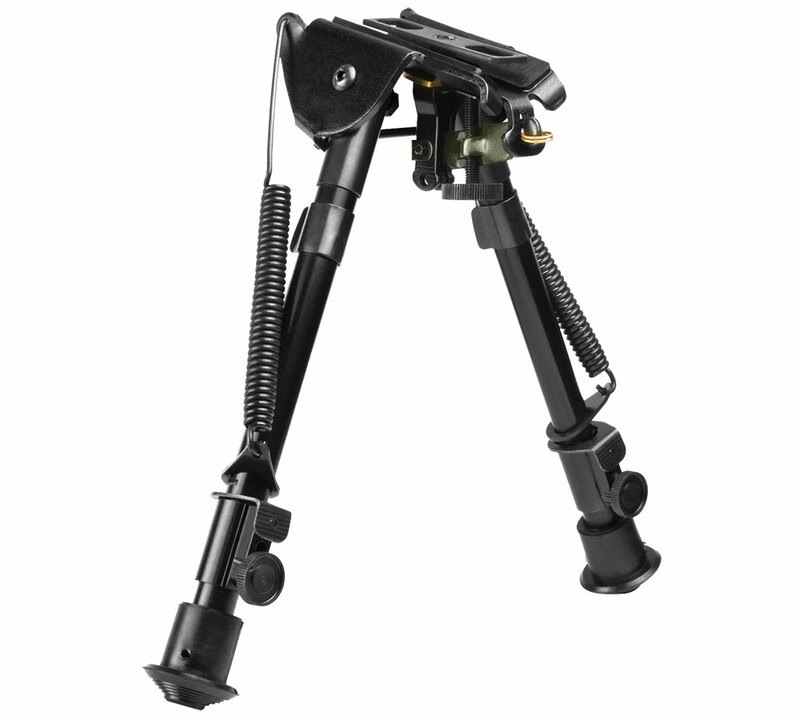 Bipods attach to virtually any sling swivel studded firearm. It is constructed of aircraft grade aluminum and steel construction. The spring loaded folding action to fold legs under forearm or to deploying the legs. Included are 3 Adaptors AR15 GI hand guard adapter with sling stud universal barrel mount and WeaverPicatinny rail with sling stud.